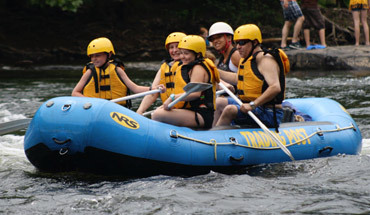 Ohiopyle Trading Post & River Tours: Whitewater rafting for any skill level using the best quality equipment, the safest record, and the highest reviews of any outfitter on the Yough. 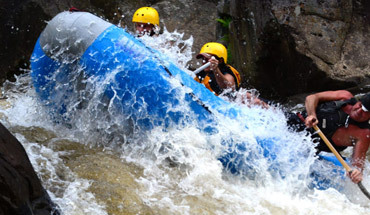 Intermediate Level: 7.5 miles of continuous class III–IV whitewater. 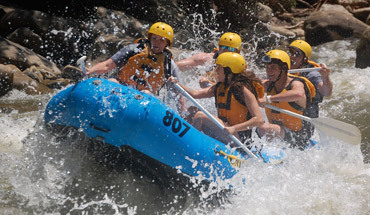 Fully guided, guide escrot rafting, and raft rentals available. Advanced Level: 10 miles of steep, tight, and technical whitewater that will surely fulfill the most adventurous rafter's expectations. Mild: 9 miles of pristine beauty all accessible by leisure paddling and relaxed floating with rafts, duckies, or shredders.